As one of the Midwest’s largest salon equipment companies, AM Salon has it all. 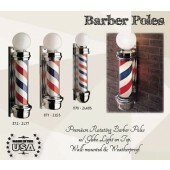 Including barber poles! 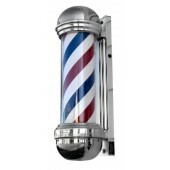 Check out the barber poles we carry as part of our Collins salon furniture selection. Need a reliable vendor for salon and spa equipment? Look no further. Our prices of salon equipment are low, but if you find one lower, give us a call at 1-800-481-6511 and we’ll beat it.